What’s for dinner? 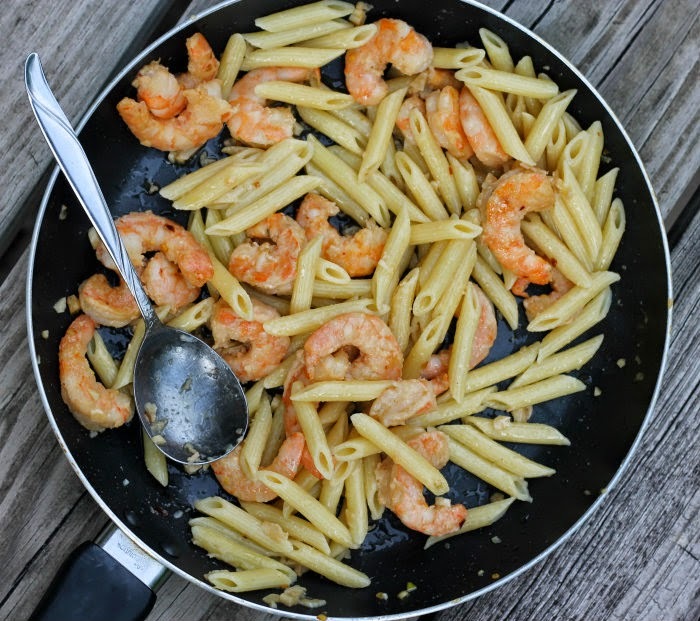 Why not try this Parmesan shrimp skillet. I love meals that you can do some of the prep work in advance. After a long day at the office it is nice to come home and have dinner ready in 30 minutes. 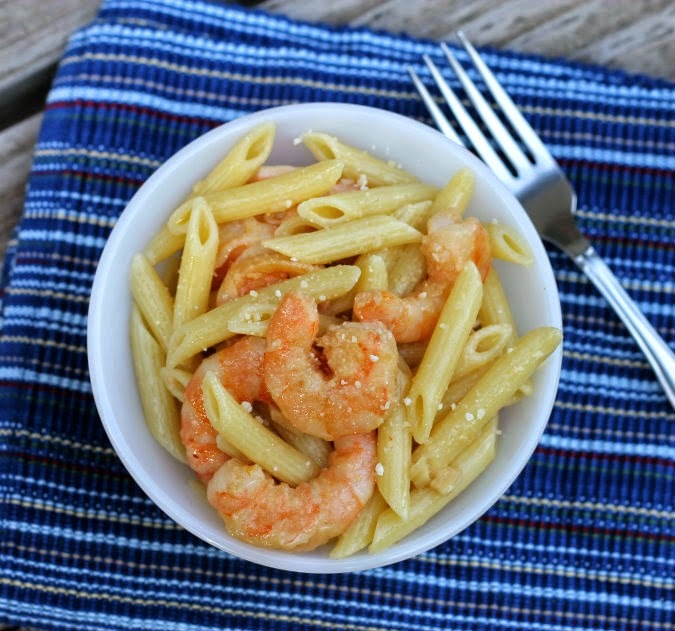 That is one of the reasons I love this Parmesan shrimp skillet recipe… among other things. The prep time did take a bit just because I had to take the shells off of the shrimp and devein them, but once that task was done it took no time at all to combine the marinade that is made for this recipe. After the marinade was completed I added it and the shrimp into a zip-lock bag and placed in the refrigerator for the day while I was at work. Once I got home it was no time at all and dinner was on the table. This is a good thing, because I am always so hungry when I come home from work. This recipe was super simple to make and I loved the end result. There was one minor thing that I will change the next time I will cut done the olive oil just a tad, but besides it was a winner. 1. Peel and devein shrimp, set aside. 2. In a small bowl mix all of the ingredients together except for the shrimp. Make sure the ingredients are mixed well. 3. Place the olive oil mixture and the shrimp together in a zip-lock bag for at least an hour. Or this can be placed in the refrigerator overnight. 4. After the shrimp have been marinated and you are ready to eat cook your pasta according to the box directions. 5. While the pasta is cooking heat a large skillet over medium heat. Once it is hot dump in the shrimp along with the marinade. Cook the shrimp until they are pink turning a couple of time, about 4 to 6 minutes (it will depend on the size of your shrimp). 6. Once the shrimp are pink and done cooking toss in your cooked pasta. Make sure to toss well so the pasta is nicely coated. 7. Serve with additional Parmesan cheese and serve immediately. (Cook’s note: Don’t feel like having pasta for your meal, but love the idea of shrimp for your meal serve the shrimp on a bed of greens). What an easy, delicious meal! Love that so much of it can be prepped ahead of time…that’s half the battle! I’m a seafood lover, a pasta lover and a lover of meals you can partially prep in advance. Can’t go wrong with this one. I’m always on the lookout for delicious, easy to make dinner idea! 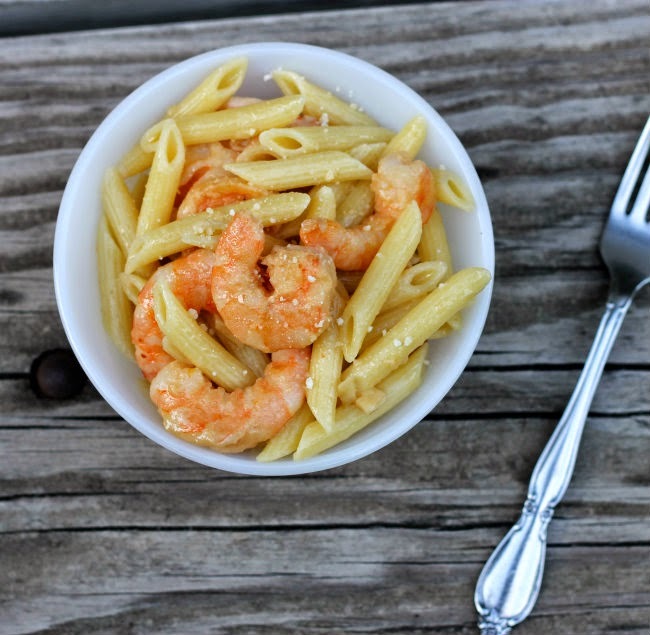 Your Parmesan shrimp fits both requirements…yum! This sounds super flavorful and looks delicious Dawn! Love that you can do some of the work ahead of time!